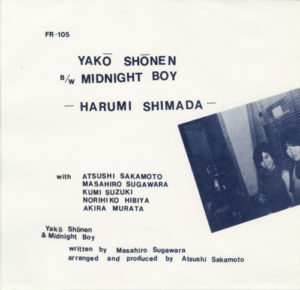 This entry was posted on March 27, 2013 at 12:44 pm and is filed under 1980s, 1984, after the sludge, harumi shimada, japan, japanese, masahiro sugawara, minimal, minimal synth, new wave . You can follow any responses to this entry through the RSS 2.0 feed You can leave a response, or trackback from your own site. Among the few albums from Japanese bands I own, not all are as good, but all are as crazy! I just love this stuff. Brilliant post. Always happy to hear something from Japan. Thanks!